Children are considered most precious and valuable gifts for parents. Kalaivani is one of such gifts. Mr. Rajendra Kumar waited ten long years to see the smile of the little angel Kalaivani. It was the most awaited moment, the family cherished each and every second of their life after the baby’s arrival. It was a contended life with the meagre income. Time passed by very fast and the little girl became a kid of 9 years. she was studying 4th standard in their local school. Mr. Rajendra Kumar was still working as a coolie. Mrs. Sadachiammal was working in a match company to support her husband. It was a small beautiful family of three. The unbelievable shocking news of the CHD was known to them through a health camp conducted at baby Kalaivani’s school. 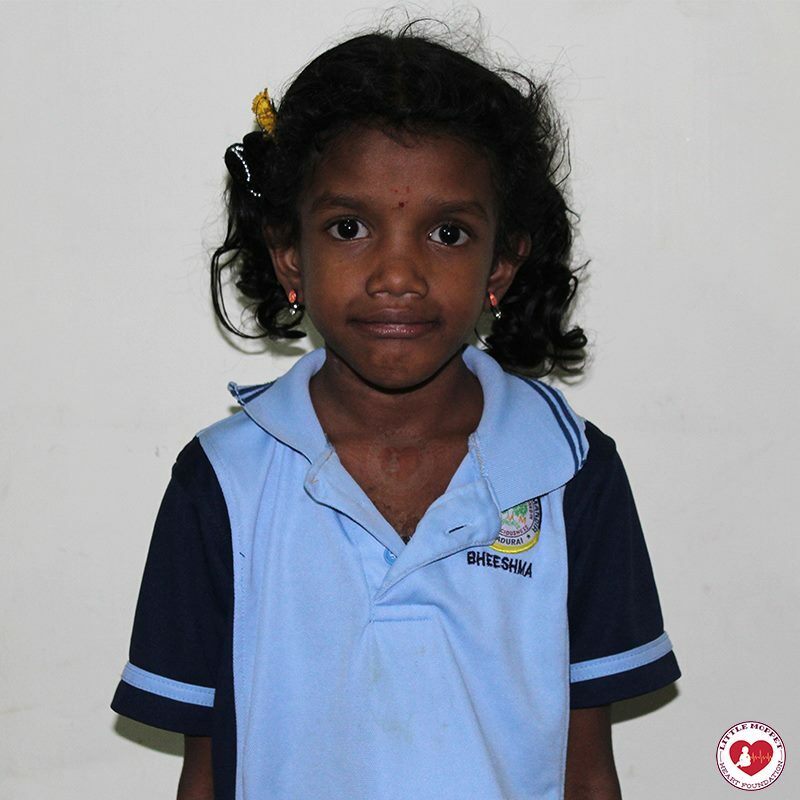 Kalaivani was found with a heart disease and was referred for further treatment. The family was stunned and took the baby immediately to the emergency ward of the government hospital, she was admitted there for 2 days. The screams and the blood seen in the emergency ward made the little girl scared and she was immediately taken back to home by her lovable father. Wherever they went, they heard the same suggestion of surgery, for which few lakhs were demanded. It was a very big money for the father who was already financially struggling. It was through a health camp at Sivagangai, Mr. Rajendra Kumar came to know about the good news of free surgeries done at Little Moppet Heart Foundation. The kind hearted donors who came to know about Kalaivani’s heart problem, immediately joined hands to lift the baby girl’s life. Surgery was successfully done by Doctor Gopi and team and the baby girl is now stable and good.